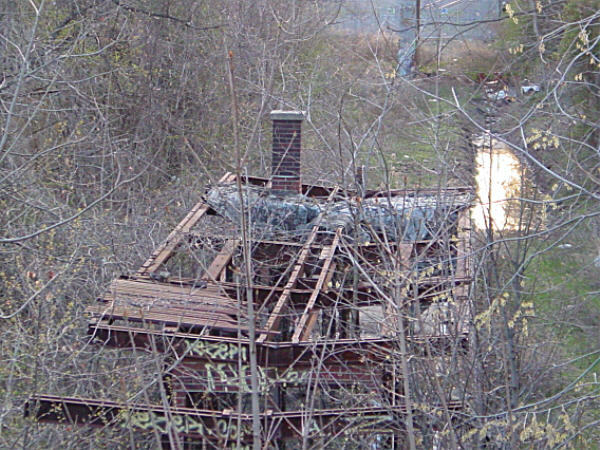 Gary Owen's S.I.R.T. 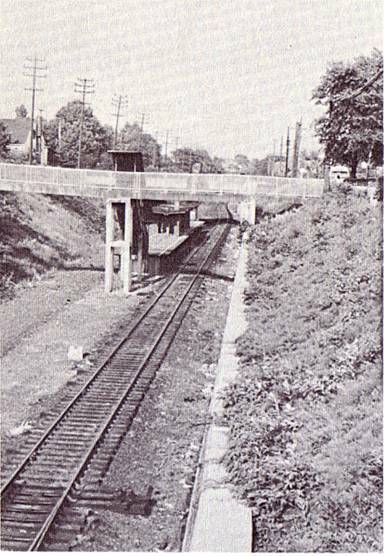 North Shore Line Page Part 2! 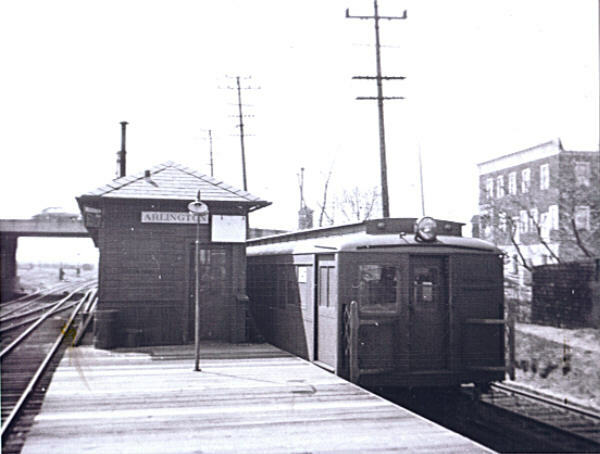 The Elm Park station (3.9 miles) was/is located at Morningstar Road. 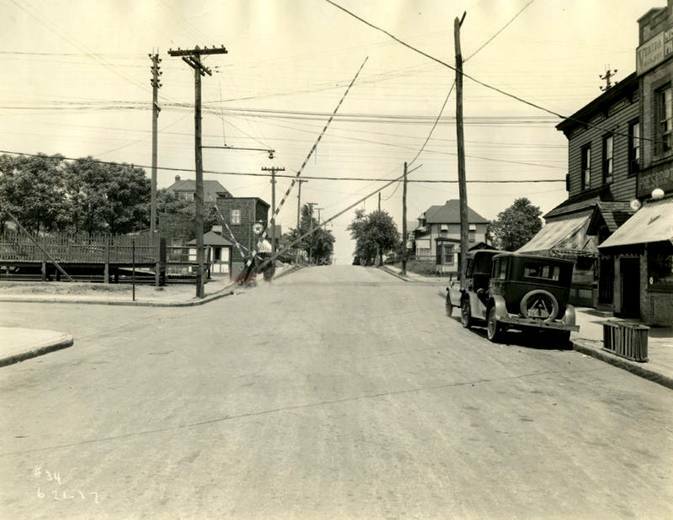 A view facing north on Morningstar Road. 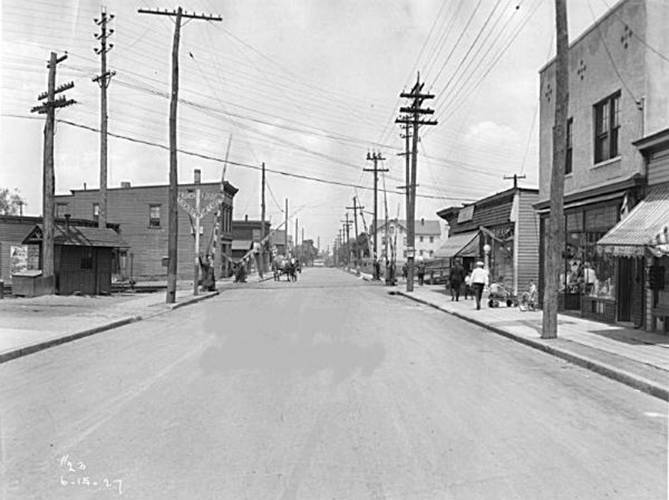 visible next to the smaller building at right (June 15, 1927). 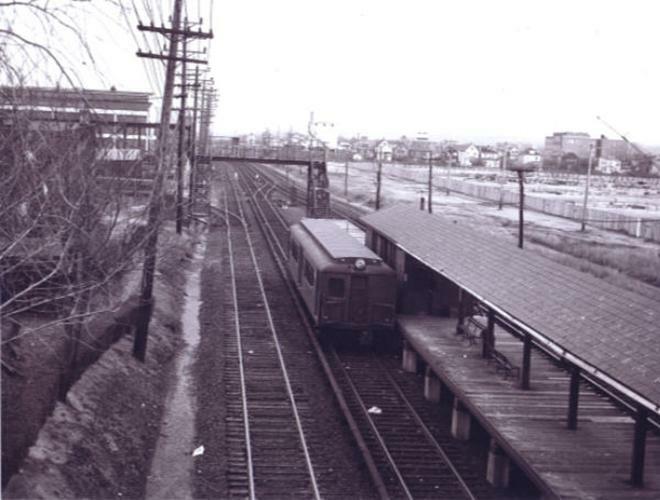 photo of the original Elm Park station. Such a quaint notion to see Morningstar Road so quiet. 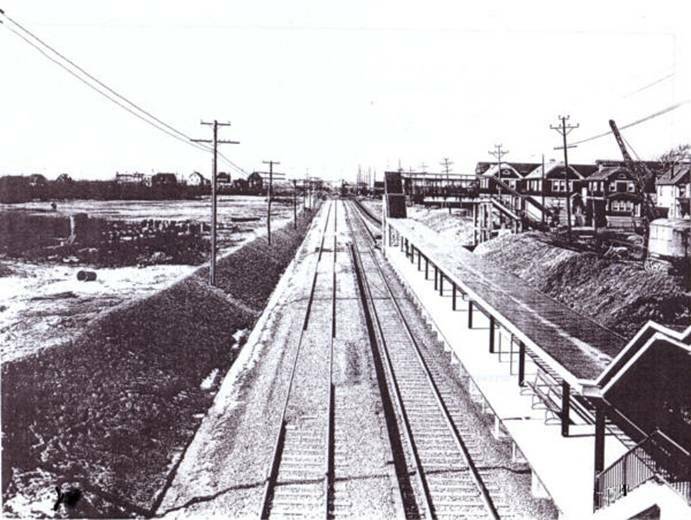 Then again, this photo was taken in 1928.
big old Bayonne Bridge standing proudly behind the station. from the Bayonne Bridge pedestrian walk. youthful Bayonne Bridge. 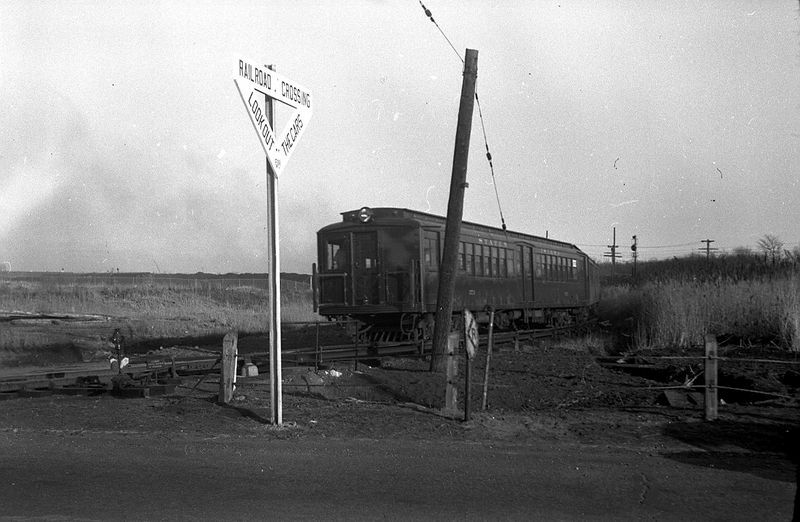 Photo taken in 1935.
grade crossing elimination in October,1935. 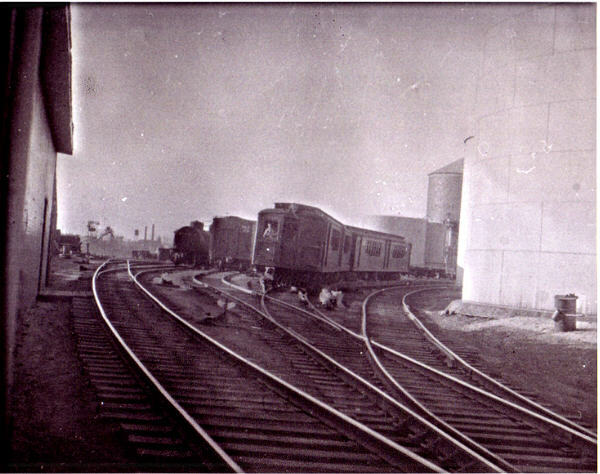 temporary platforms above in December, 1936. 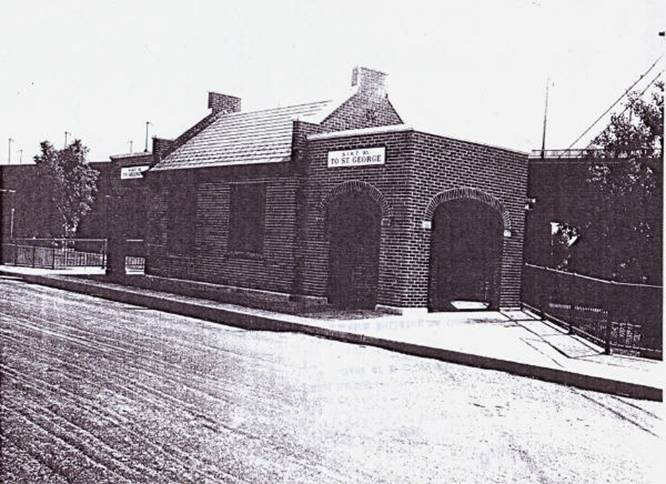 The Elm Park station ticket office in July, 1937.
the Morningstar Road overpass in 1937. 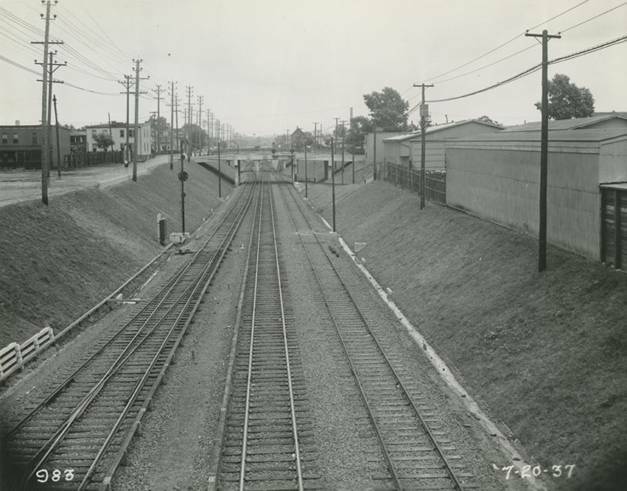 John Avenue and it's overpass entrance in February, 1937.
tracks (left) during grade crossing elimination. 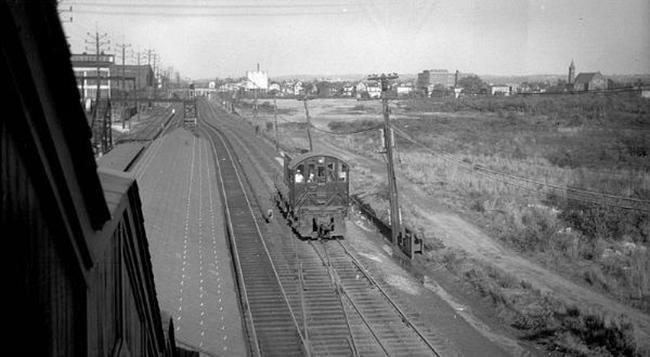 Photo taken from the Bayonne Bridge facing St. George in 1935-36. 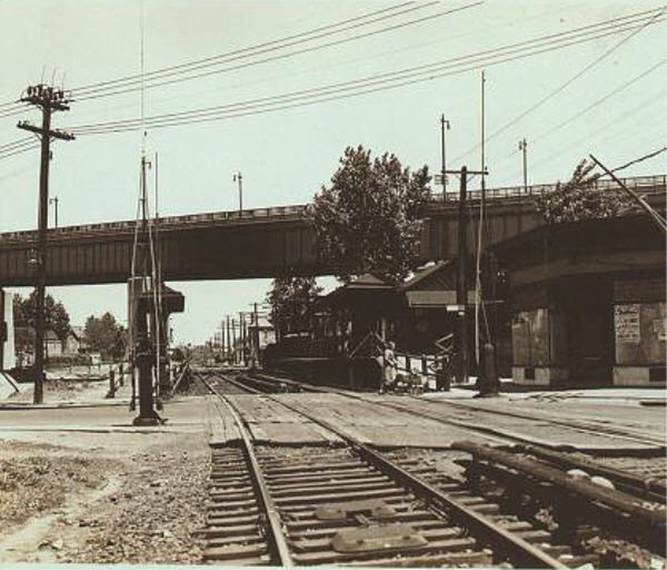 The same scene shows Newark Avenue and the John Street overpass facing east from the Bayonne Bridge on July 21, 1937.
the pedestrian walkway of the Bayonne Bridge (facing west). 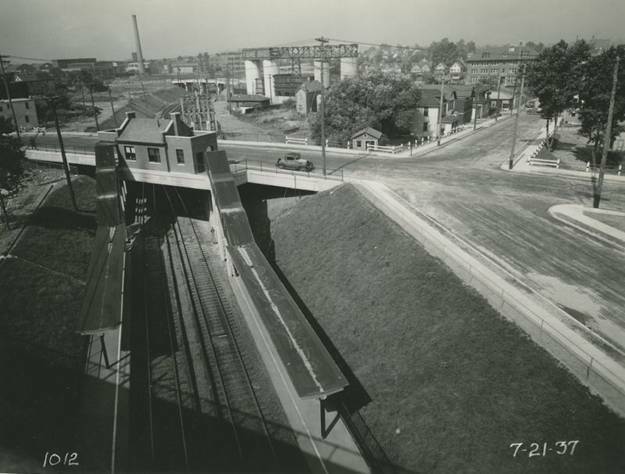 seen from Morningstar Road on June 7, 1937. 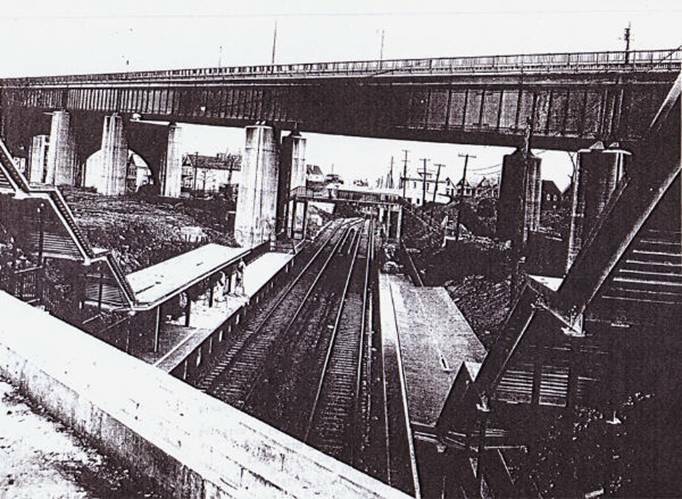 And again from the Bayonne Bridge on July 21, 1937. I see my shadow. Therefore we will have six more weeks of winter. 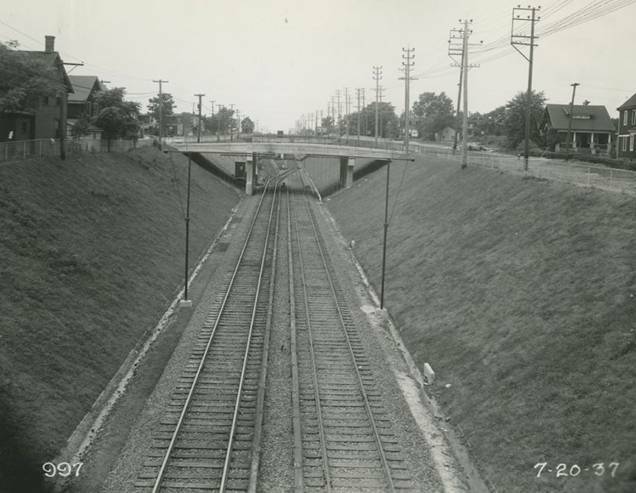 The Lake Avenue station (4.3 miles) was/is located at Lake Avenue. 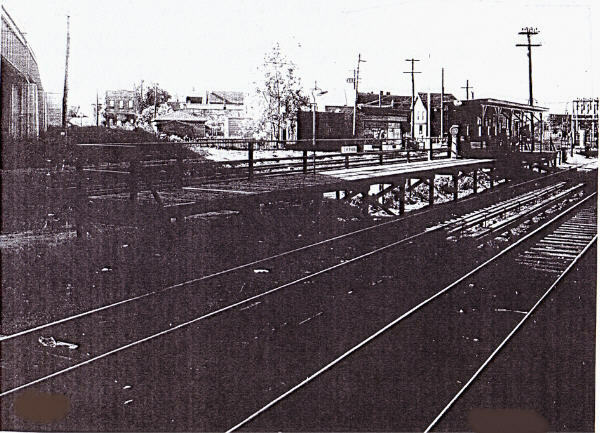 This station was added in 1937 during grade crossing elimination. 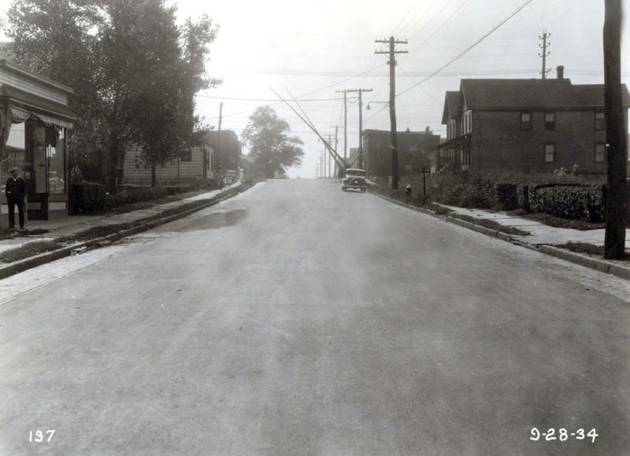 A view of Lake Avenue on September 28, 1934. 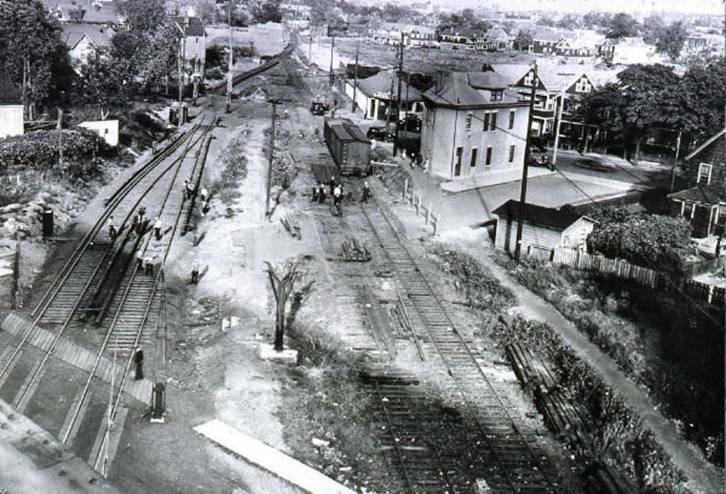 A year- or so- before grade crossing began. 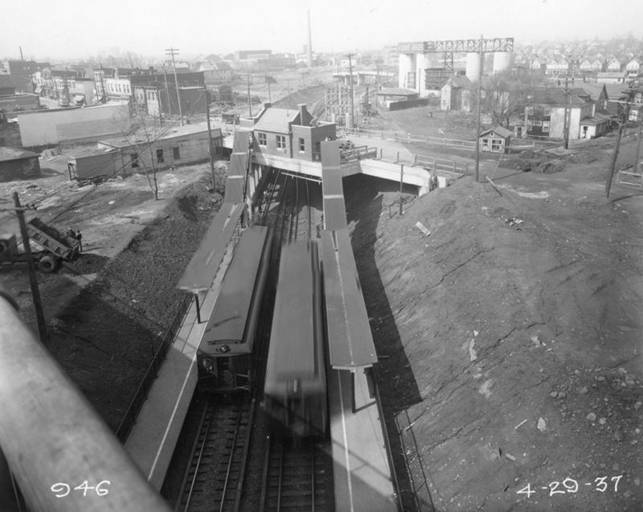 The construction of the Lake Avenue station (facing west). 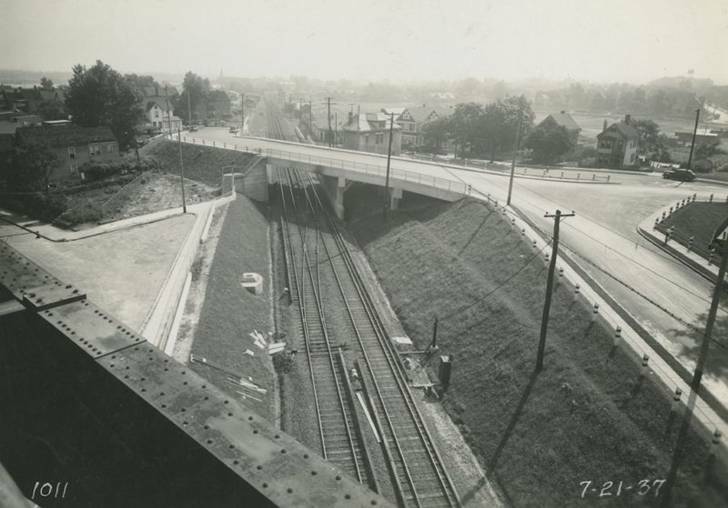 as seen from the Van Name Avenue overpass on June 7, 1937.
in 1964 and again in July, 1968.
depressed grade stations have been removed. 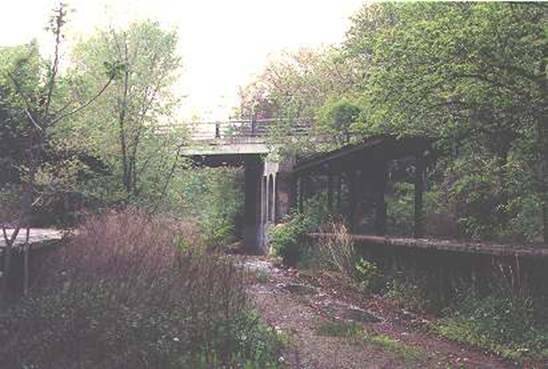 In 1999, "Forgotten New York's" Kevin Walsh found his way onto the ROW and snapped this photo of the dead Lake Avenue station. 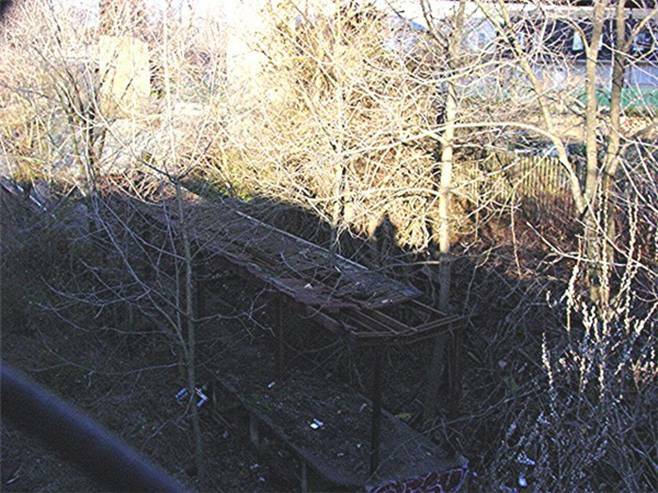 ventured to the ghostly Lake Avenue station. 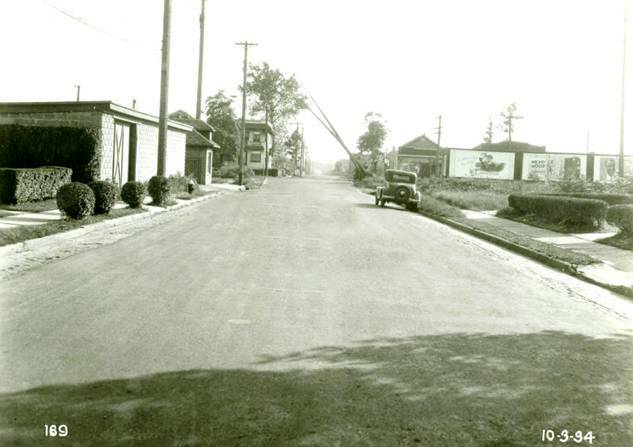 Van Name Avenue on October 3, 1934.
located at Van Pelt Avenue. 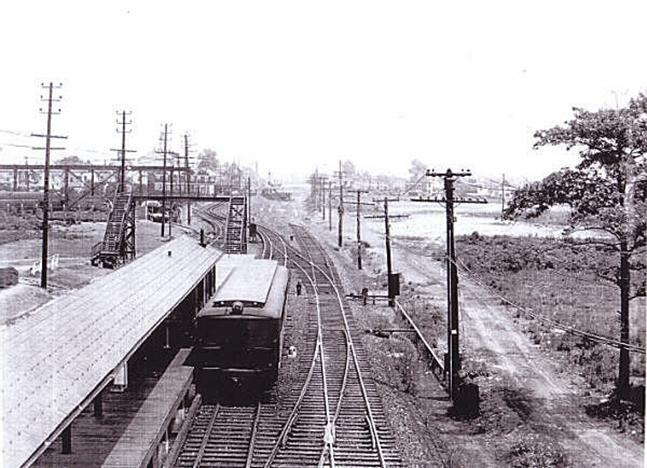 Mariners Harbor station on June 21, 1927. 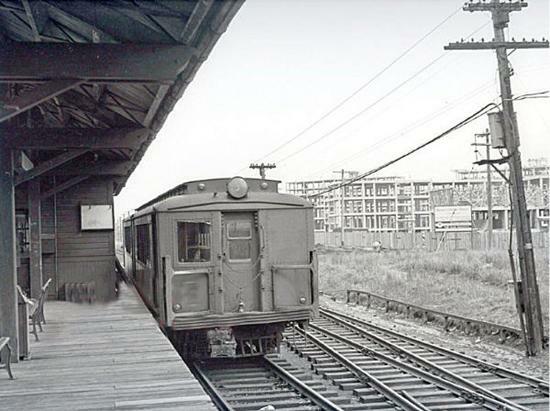 Mariners Harbor station on June 7, 1937. 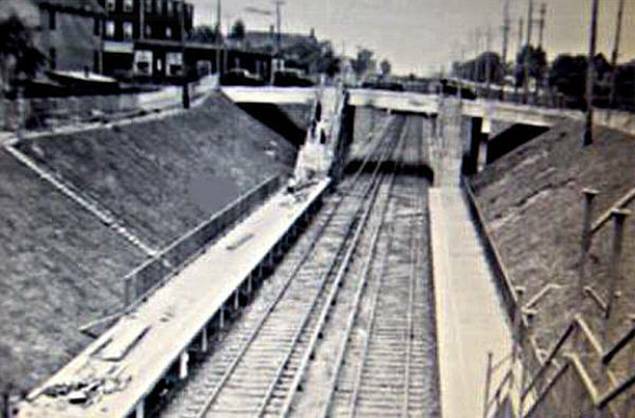 And again on July 20, 1937.
in 1964 and June, 1973. 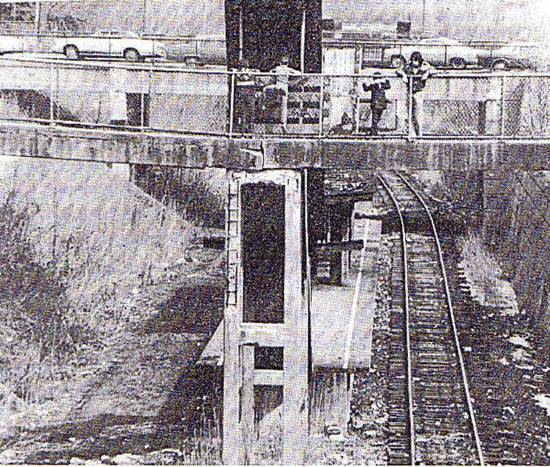 Kids playing on the deteriorating pedestrian overpass at the abandoned Mariners Harbor station in the early 1980's. my brother Brian and I went on a north shore line adventure. 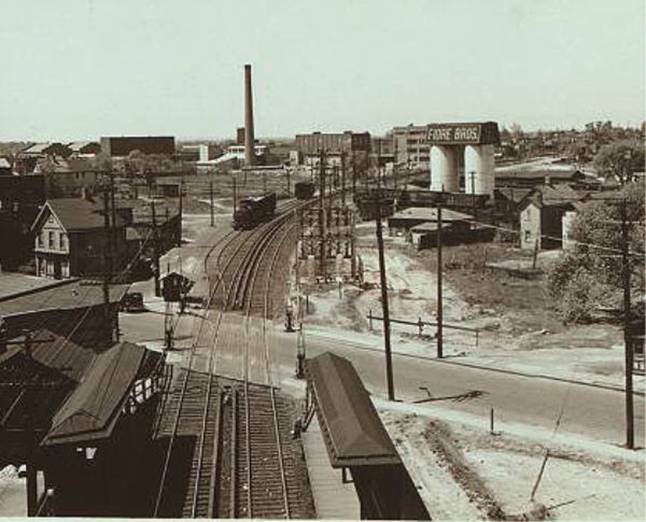 facing east in Mariners Harbor on July 20, 1937. 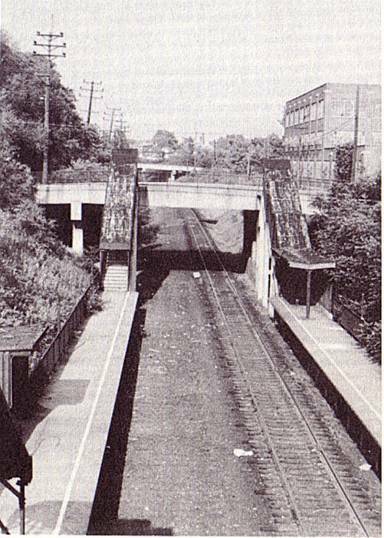 The Harbor Road station (4.9 miles) was located at (you guessed it!) 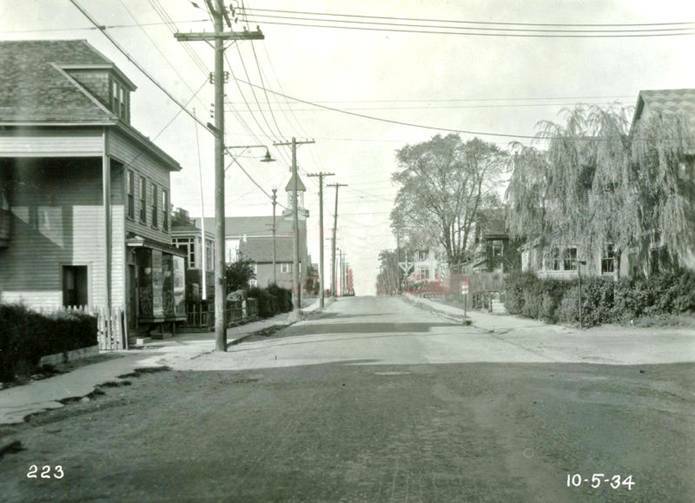 Harbor Road. 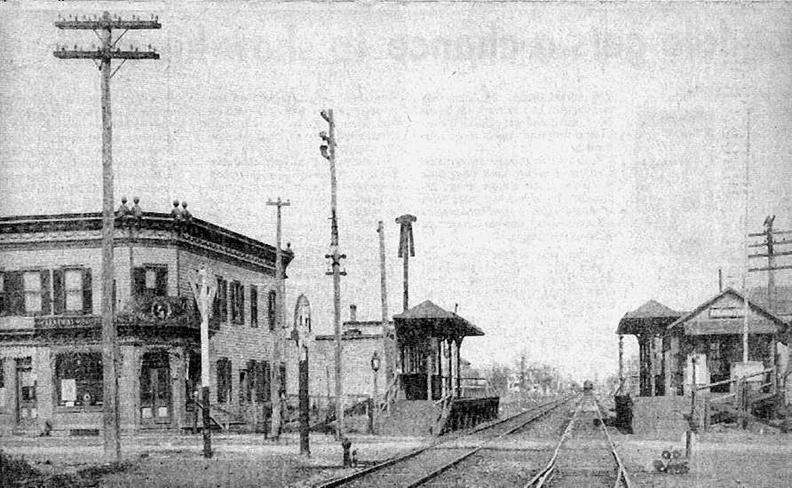 This intermediate station was added during the S.I.R.T. 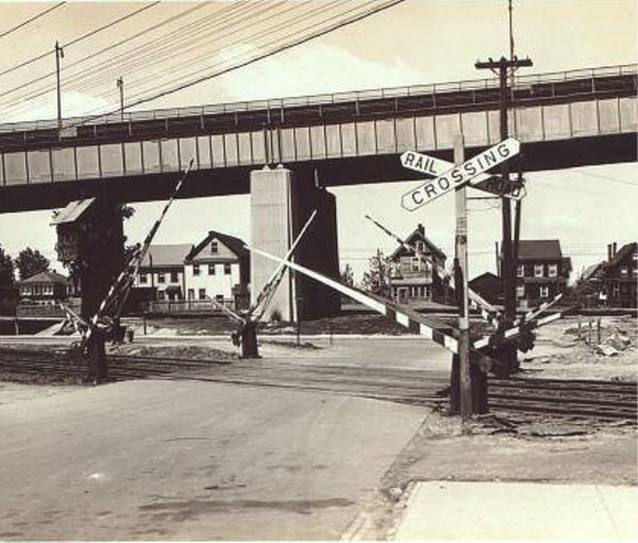 grade crossing elimination of 1935-37. 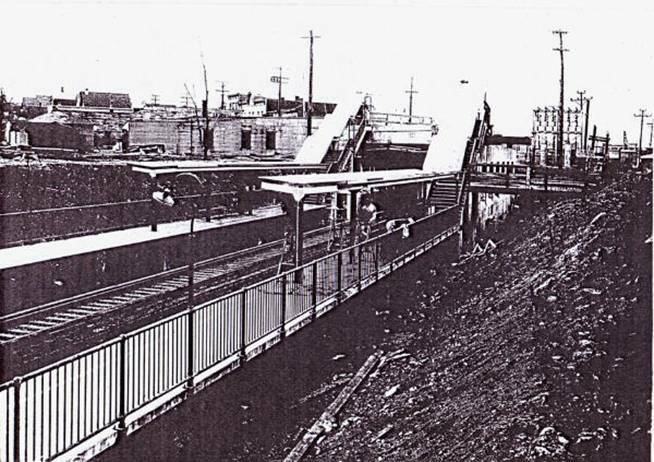 With the restoration of the right of way in 2005, the remnants of the Harbor Road station were finally demolished. 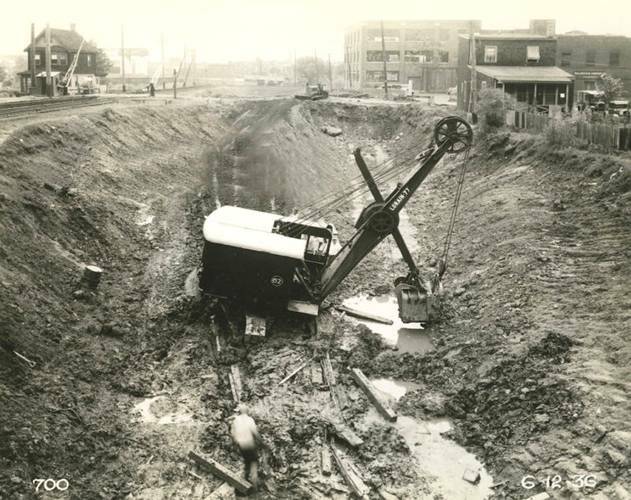 before grade crossing elimination began (October 5, 1934). 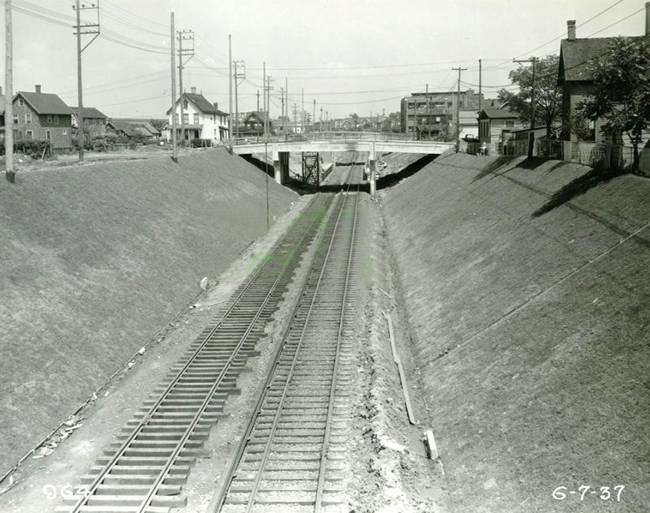 The new Harbor Road station in 1937. 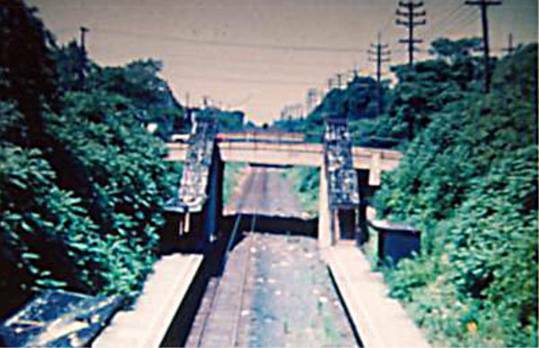 The dead Harbor Road station in 1984. 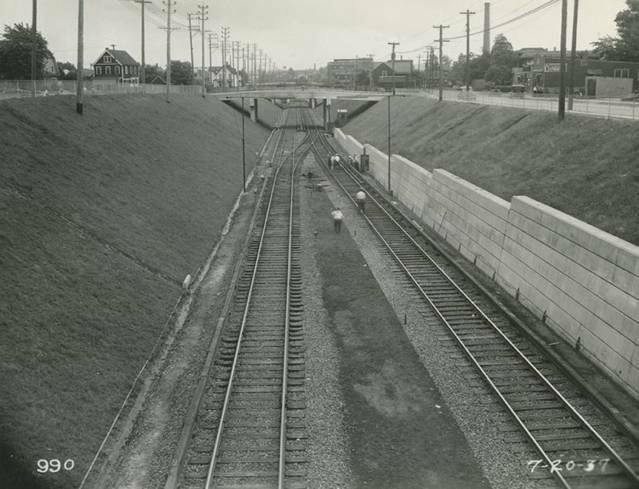 The Arlington station (5.2 miles) was located at South Avenue. 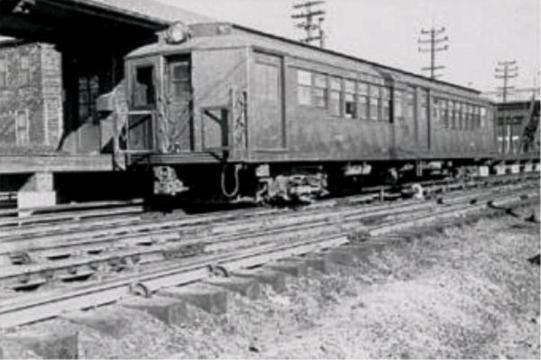 It was the terminus for the S.I.R.T. 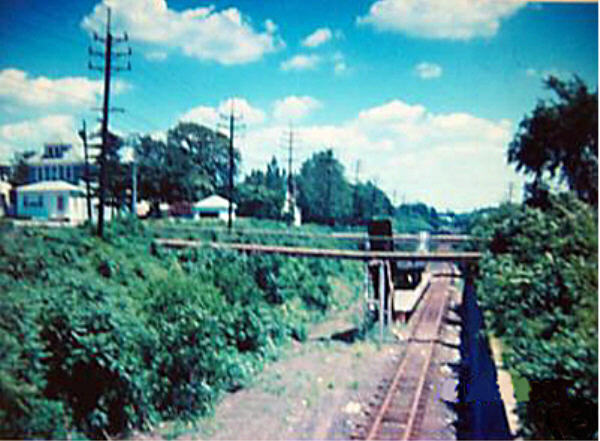 north shore line. 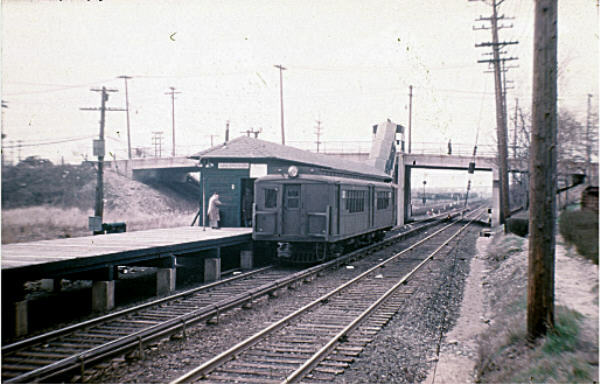 The station was razed sometime during the mid-late 1950's. 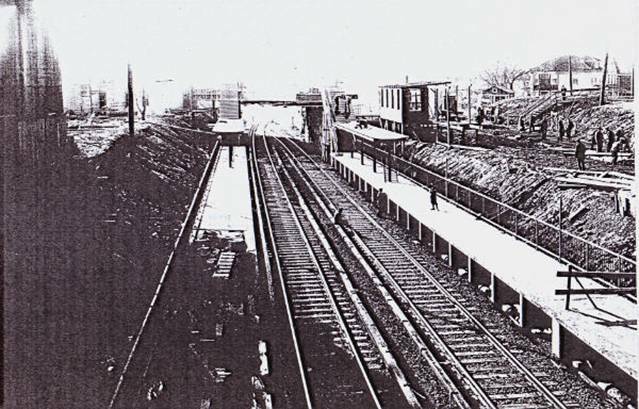 Here is the Arlington station about 1920, before electrification. 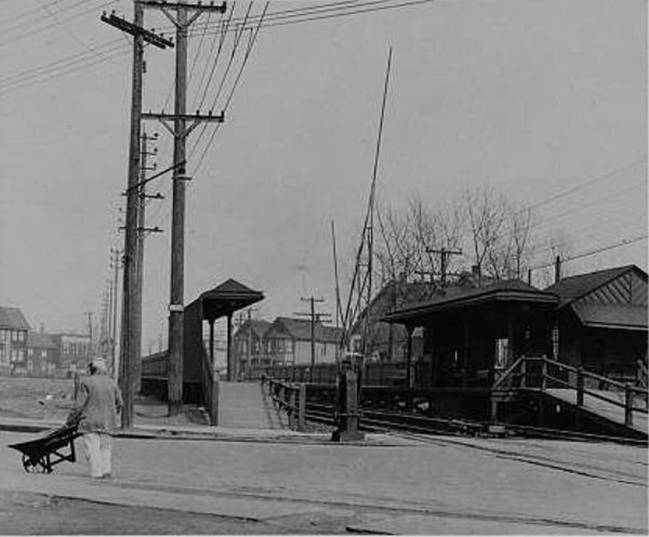 The grade crossing is South Avenue. 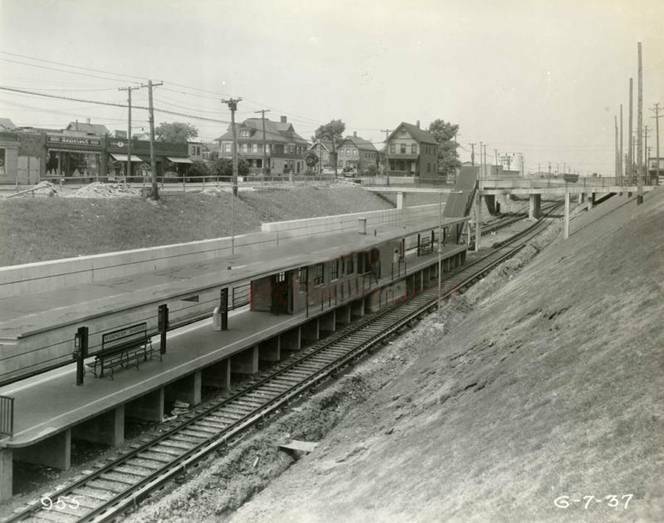 When the South Avenue overpass was built in 1925, SIRT built a wooden center island platform and station between the tracks here, with a waiting room and ticket agent's office. 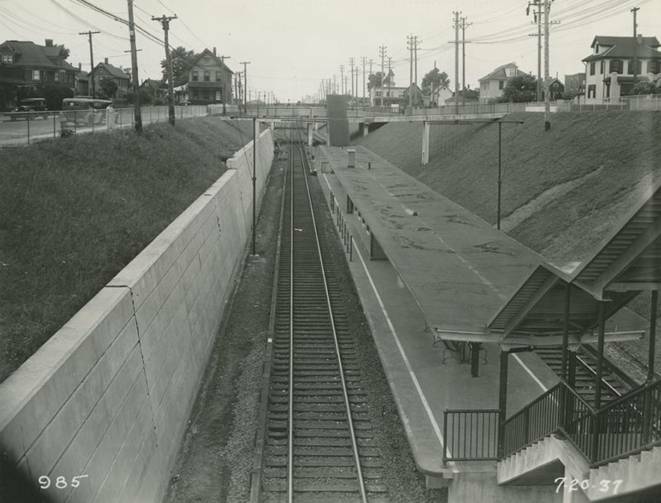 the Arlington station in June, 1936.
the Arlington station around 1950. 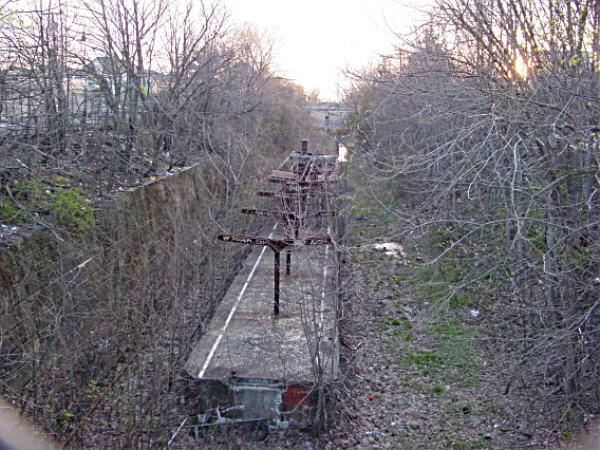 For a train to make the return trip from Arlington to St. George, it would travel a bit further west down the ROW and use a switch track to the other side. 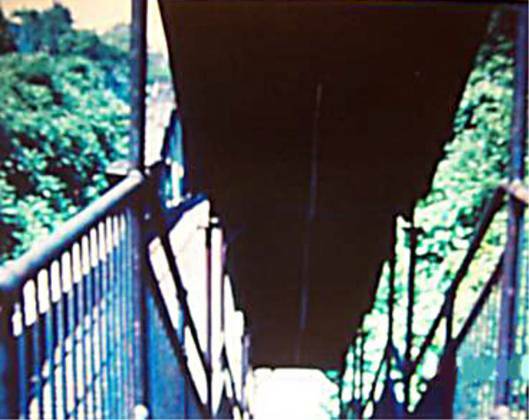 This is a photo of a train making the crossover. 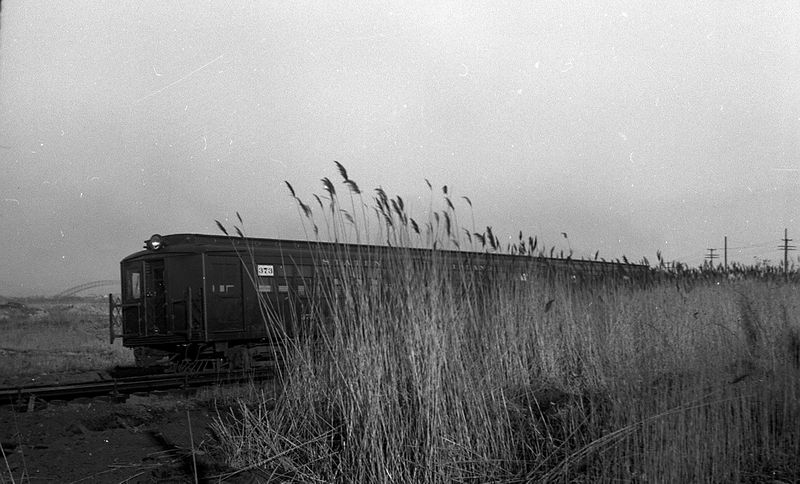 to St. George in October, 1952. 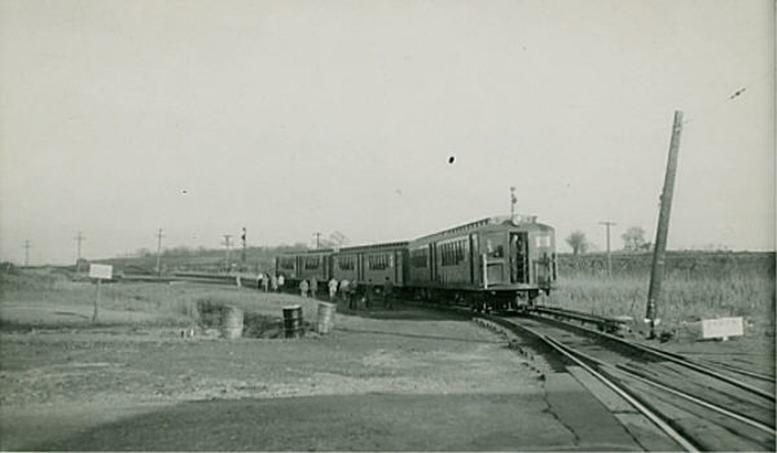 At Arlington, a train is ready to depart for St. George. Note the apartments being built in the background. 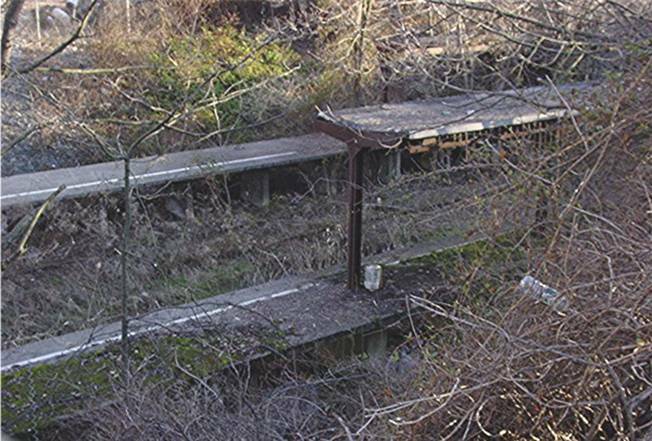 Two similar views at the Arlington station. 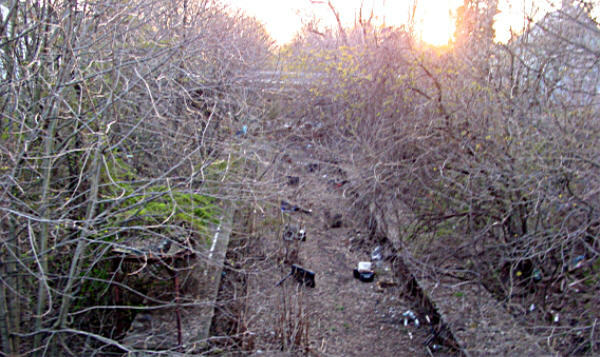 Staircase leads to South Avenue. 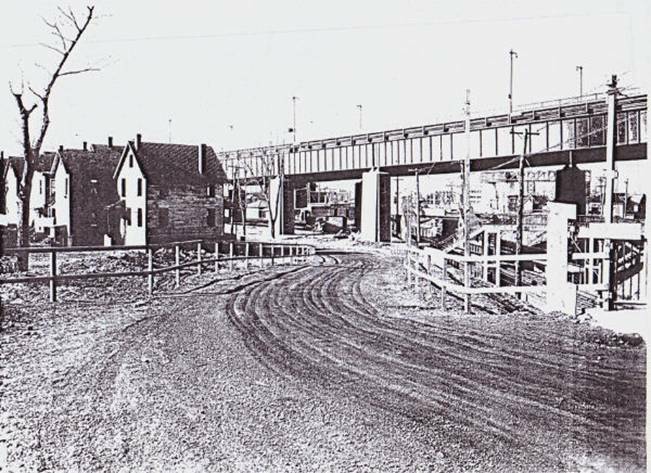 the background (at Harbor Road) still stands today. 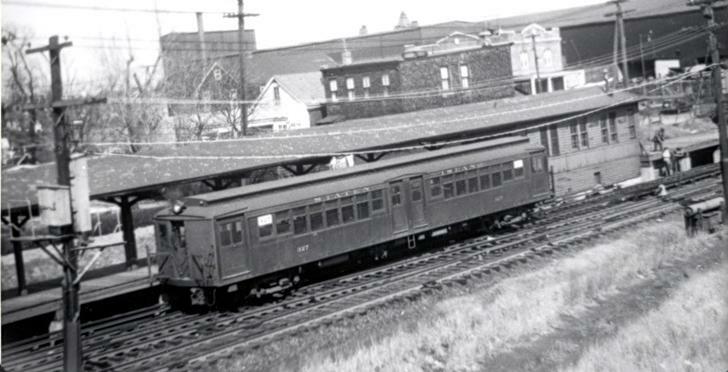 A freight engine at Arlington in 1946. Two more views at Arlington. 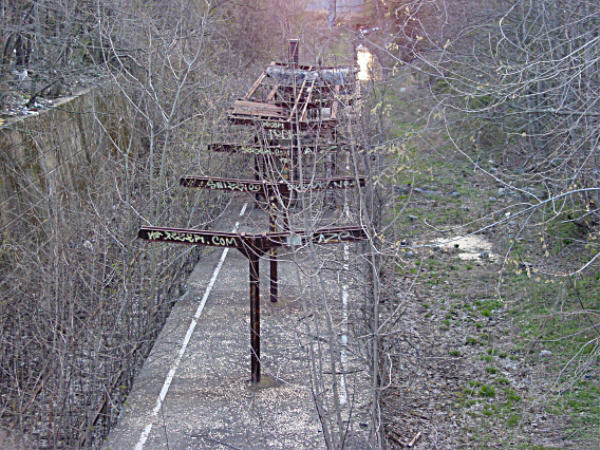 But wasn't this the end of the line? 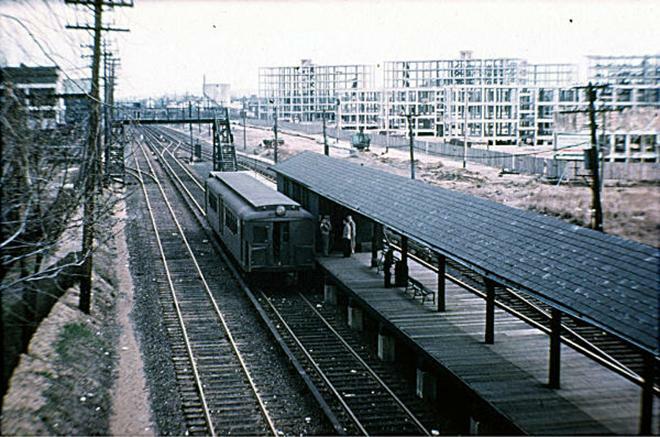 The Port Ivory station (6.1 miles) was provided for the workers at the Proctor & Gamble plant which manufactured Ivory Soap products. 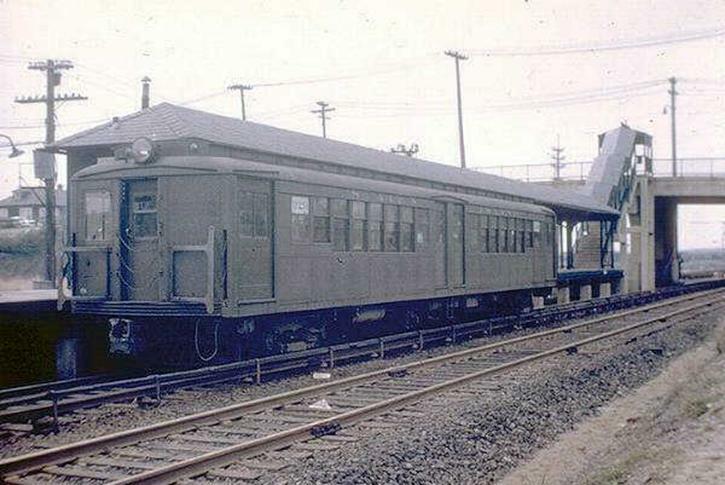 It was only used during morning and evening rush hour. 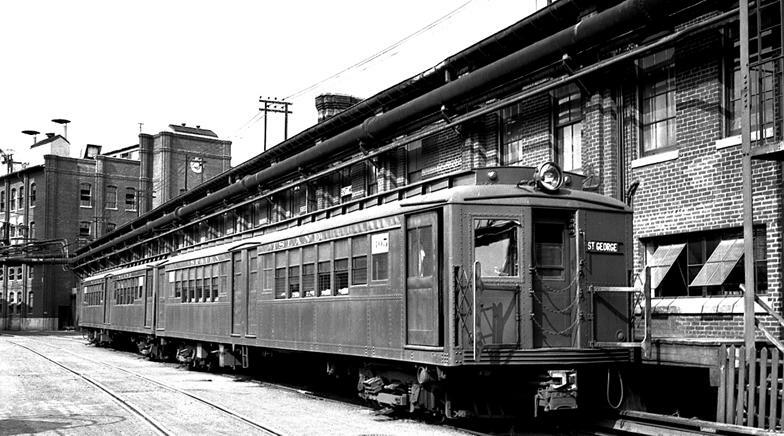 The station may have closed around 1950- a few years before the S.I.R.T. 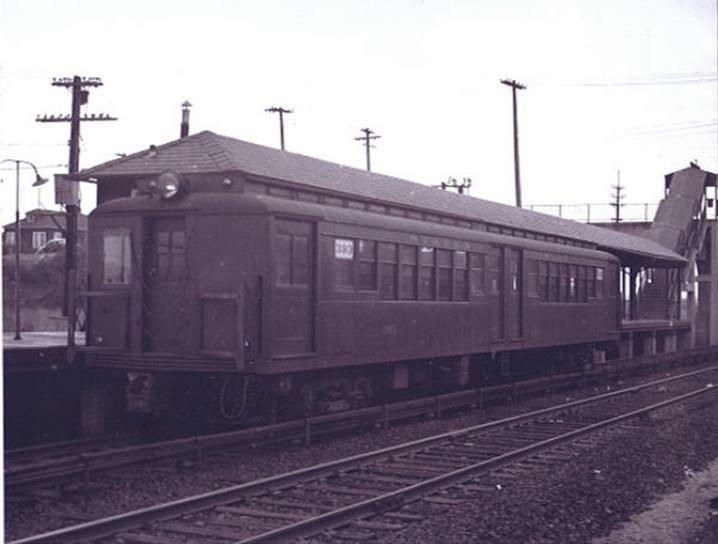 suspended service on the north shore line on Tuesday, March 31,1953. 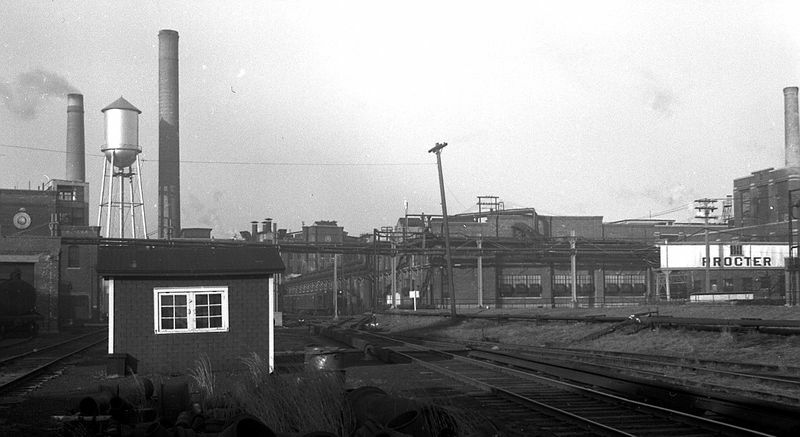 The Port Ivory complex (circa 1947). the Port Ivory factory complex. 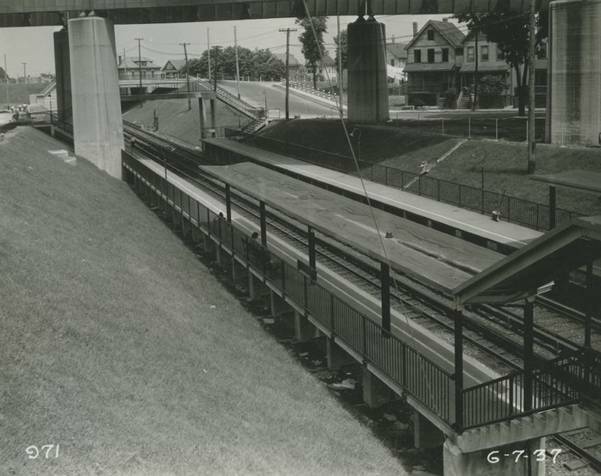 At the Western Avenue grade crossing. 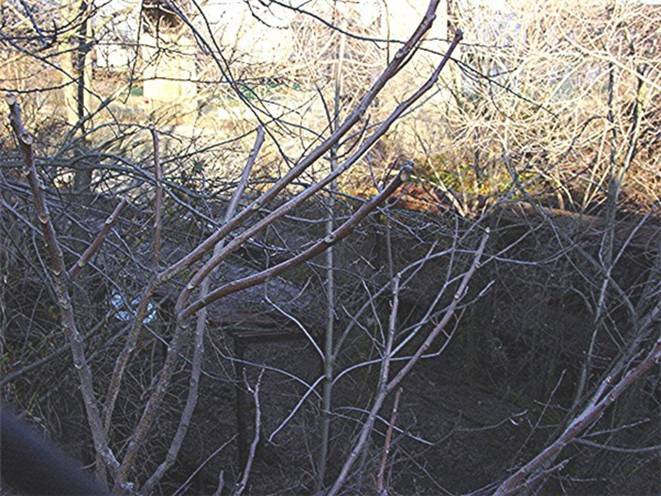 And a view of the Port Ivory complex. Here is a rare photo of an S.I.R.T. 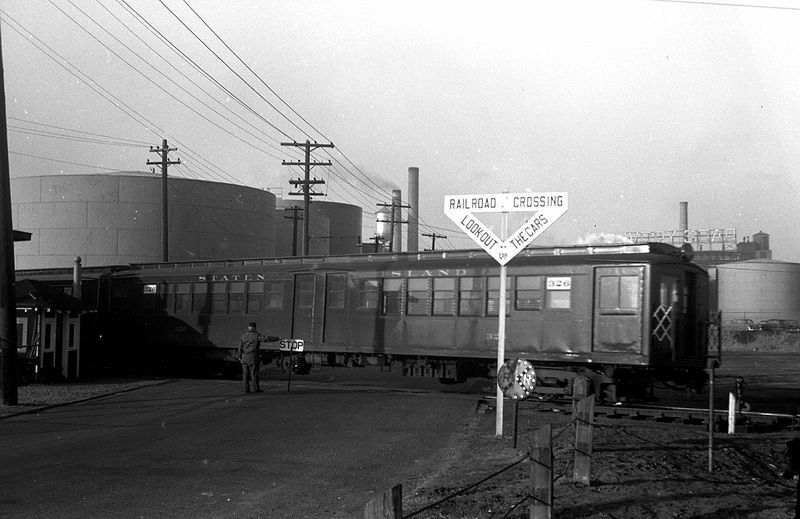 train with an"Arlington"designation stopped at the Port Ivory station sometime about 1947. Notice it has two cars. Rush hour would demand that, wouldn't it? 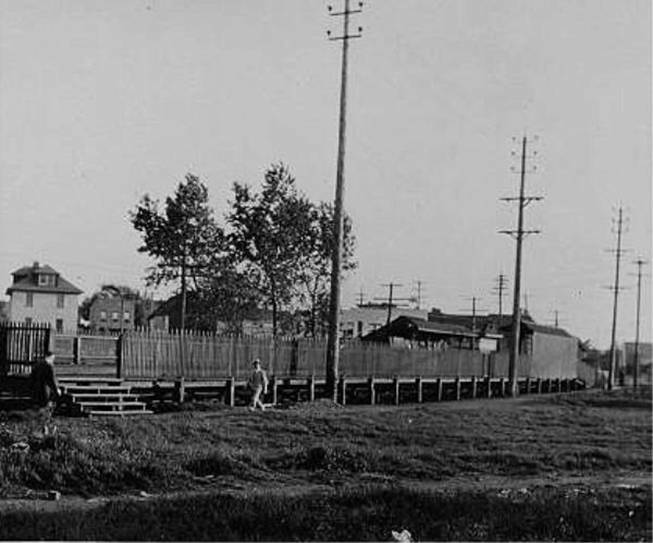 The brick building to the left still stands today. 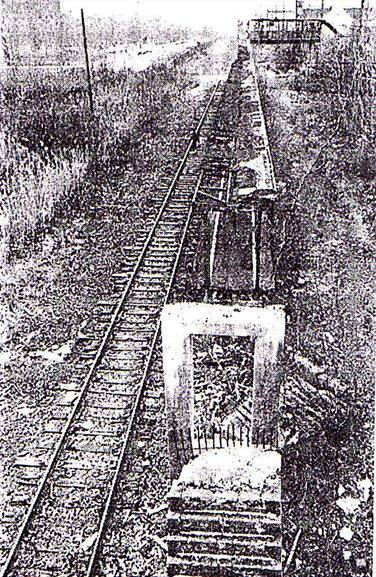 departure from the Port Ivory station. 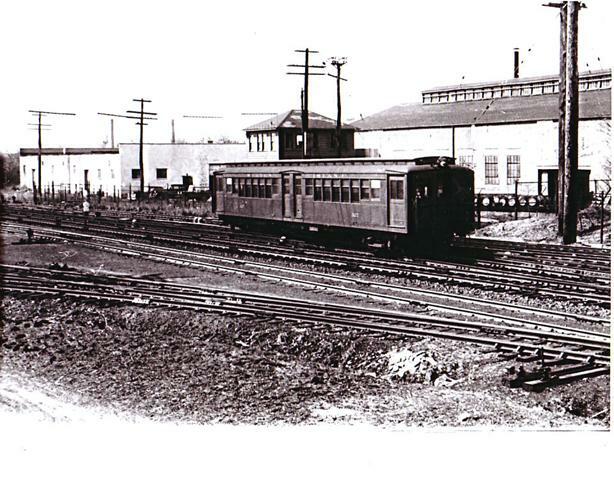 A train leaving the Proctor & Gamble plant. St. George at 11:53 PM on Tuesday, March 31, 1953. 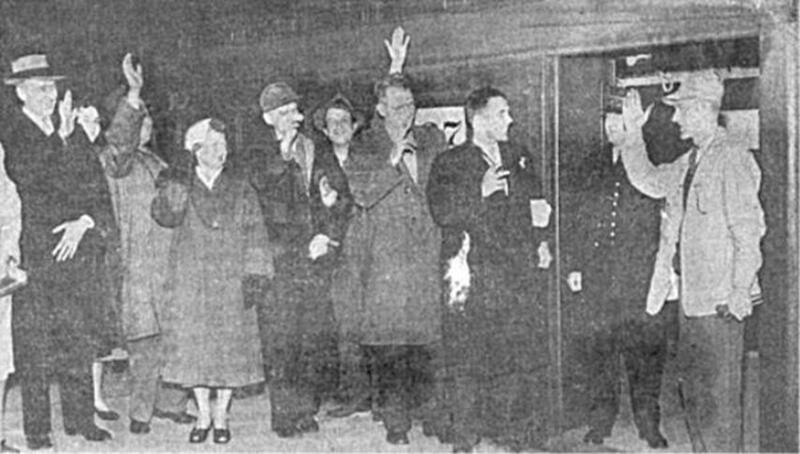 The last passengers wave goodbye to sixty seven years of service. 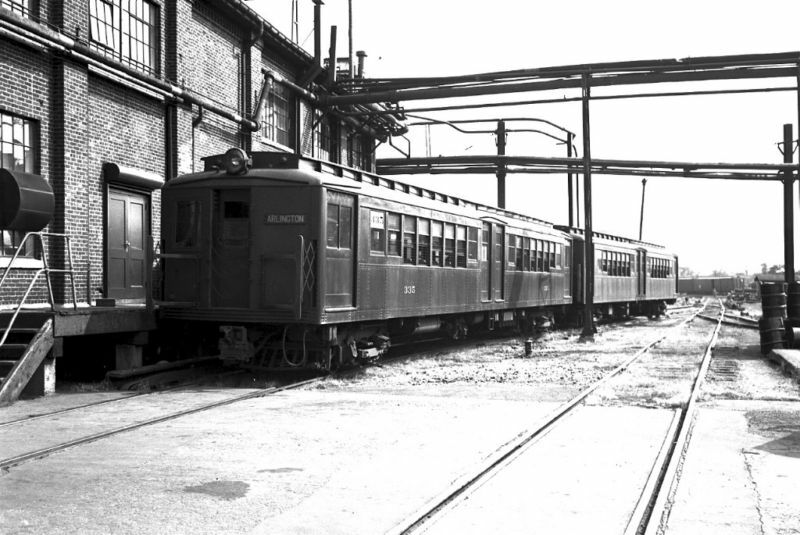 My little tribute to Staten Island Rapid Transitï¿½s north shore line. Now read it in reverse and you'll end up back at the St. George ferry. But our journey back in time does not have to end there. You can simply run across the platform and hop on a train bound for South Beach!